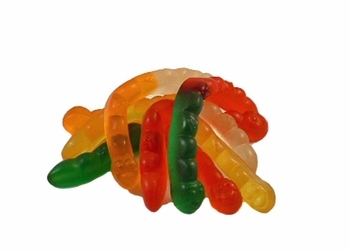 Gummi Worms - 1/2 lb. These assorted Gummi Worms are sure to wiggle their way up to the top of your favorites list! Each large worm has two fruit flavors including cherry, green apple, pineapple, lemon, and orange.